“Only wounded” meant a piece of shrapnel two inches long and half an inch wide lodged in his groin. With Harry’s consent the field hospital doctor removed it without anaesthetic whilst four men held him down. He declined the offer of the shrapnel as a souvenir. It was a day he was never to forget even though he did not speak about until he was 100. And when he did speak it was to condemn the war and those who sent them to fight in it. Harry’s anti-war sentiments are not in doubt. For him the Great War was “a licence to go out and murder”. But what predictable barefaced lies have followed this remarkable man’s death! Prince Charles intoned the most despicable line of all on Radio 4 saying that Harry and men like him had died “to defend the liberties we now enjoy”. Harry and his mates certainly fought for HRH’s “liberty” to rule over us. A glance at most war memorials will confirm that they did not go to fight for liberty but for “King and Country”. The King at the time was George V, the great grandfather of Charles Windsor. These property owners really can say they are fighting for “my country” since they actually own it. For the rest of us nationalism is an abstraction dreamed up by the bourgeoisie to get workers to kill each other. In reality what Harry was sent to fight for was British imperial interests against the no less obnoxious German imperialist interests. The German imperialists wanted a free hand to dominate Europe and built a navy with the idea of forcing the British to agree to this. The British reaction was the opposite, seeking allies amongst former sworn enemies like France (agreeing on the division of Africa) and Russia (creating buffer zones in Central Asia). Britain went to war in 1914 not to defend “brave little Belgium” (2) but to make sure that the German Navy was destroyed and no longer posing a potential threat to the shipping lanes of the British Empire. This is why the British Government demanded the immediate surrender of the German Fleet in November 1918 and ordered it to Scapa Flow. We should not forget that at the same time they also maintained a blockade of the starving German people until the end of June 1919. No great humanitarian cause here. And the majority of the Labour Party and the trades unions joined with the toffs, the capitalists and aristocrats, in defending their property. No surprise that Gordon Brown should echo the nationalist claptrap of our future King. Here’s a selection of his vomit making rhetoric. 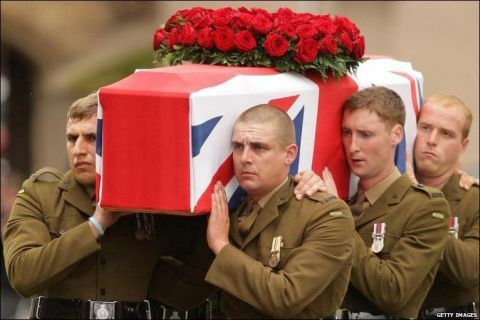 Harry had refused a state and a military funeral but that did not stop the military muscling in to provide the pallbearers (with German, Belgian and French military following to partially comply with Harry’s wishes that the funeral should be about “peace and reconciliation”). He wanted to avoid the war but it wouldn’t let him. Unlike Henry Allingham who died a few days before him he did not respond to Kitchener’s call. When the first wave of volunteers looking for a bit of adventure were wiped out in battles like the Somme, the British rulingclass were faced with the unpleasant prospect of introducing conscription. Being an island nation conscription was not normally essential to territorial defence, and arming the “scum of the earth”, as Wellington called his own troops on the eve of Waterloo, was not something our rulers liked to do. After all, workers with guns can be dangerous (and this, plus the cost of building the Bomb, was the main reason why the British Empire took the decision to abandon National Service in 1955 - after all “a nuclear deterrent” means you don’t need to worry the citizenry about what their destruction involves). Harry was conscripted in 1916 and very soon found that the war was hell. After a while his team operating the Lewis machine gun (4) made the decision not to shoot at heads and torsos but tried to aim below the knee. This decision was just one of the many minor (and not so minor) acts of sabotage of the “war effort” which took place on the battlefields of Europe in the First World War. There are thousands more examples of this “live and let live” attitude but resistance did not end their. As the futility of the war struck home in 1917 desertion and even full scale mutiny became more common. The Étaples Mutiny though did not manifest much anti-war consciousness and such class consciousness as was seen was more intuitive than political. Whilst the British Army largely went in for desertion (thousands of British, French, German and Belgian troops lived in hidden communities in the woods of the Somme or the limestone cliffs near Le Touquet) the real mutinies took place in the French Army and in the Russian Army fighting on the Western Front. The French Army had mutinied first in April 1917 after the disastrous Nivelle Offensive on the Aisne. At the height of the battle troops coming down the line had baa-ed at troops coming up to signify that they were all lambs to the slaughter. The first to mutiny were some of the French Army’s own colonial troops who refused to go into the trenches. Some were shot but the rebellion spread right along the front to involve 78 regiments. Two regiments singing the Internationale and waving red flags set out for the capital but were ambushed by cavalry troops and forced to return to the front to face either the firing squad or the Germans. Pétain, the most trusted of the French generals, was despatched to promise that there would be better conditions and no more suicidal offensives as long as the men held the line. This was accepted by the troops but Pétain later had 70 of their most prominent leaders shot. On 9 September 1917, just before Passchendaele, it was the turn of the Russians in France to try to end the war. Having gone to war in a wave of patriotic fervour these troops were now supporters of the revolutionary movement which had broken out in their country of origin. The result was a battle a hundred miles behind the lines which lasted for three days. The outcome was never in doubt as the artillery just pummeled the Russians into surrender. These mutinies of 1917 may all have been failures but they indicated that many at the time were ready not only to put an end to “legalised murder” as Harry Patch called it, but the social system which provoked it. Indeed if it had not been for the Russian and German Revolutions the capitalists would not have ended the war even after four years of slaughter. When many young men in all countries volunteered to fight in 1914 it was with the expectation that, “the war would be over by Christmas”. After all, the cabinet wars of the previous 90 years had all been short, and for limited objectives. But these wars were largely about establishing modern national states like Germany and Italy. They had precise and limited objectives. The wars of capitalist imperialism however have a much bigger goal which is to destroy the productive capacity of the opposition entirely. The wars of the twentieth century have been much bloodier and nastier as a result. Even in the seemingly small war against the Boers in 1899-1901 the British introduced a total war concept which included, for the first time the introduction of concentration camps for an entire population, and which resulted in the massive loss of civilian life. The First World War was a total war not just between armies but between economies and in the end it became a war of attrition which was won by the side whose population suffered the least. In 1917 the collapse of the Tsarist regime and the subsequent Bolshevik Revolution seemed to give Germany an advantage, but this was largely illusory. In fact by the beginning of 1918 the tide was turning. Geographically isolated by the Allied blockade the Central European population, like that in Russia earlier, was starving. A quarter of a million died of disease and malnutrition in Germany in the winter months and the same was happening to Germany’s ally in Austria. All this was a far cry from the situation in 1914 when the Social Democratic Party, betraying every resolution against war voted by the Second International decided to vote war credits for the Kaiser. This was probably the greatest single betrayal in the history of the working class and threw the revolutionaries inside Social Democracy in Germany and elsewhere into despair. However once the war’s real character was demonstrated resistance began. Cannon built by proletarian hands! This is what is known as “holy war”. By early 1918 strikes were developing all over Germany and anti-war sentiment was growing. In March 1918 the German General Staff gambled all on a final offensive in the West known to them as “Operation Michael” but to history by the name of the General who was virtually dictator of Germany by this time. Once the final gamble of the Ludendorff Offensive petered out in July 1918 the German General Staff told the Kaiser the war could not be won, and urged him to get civilian figureheads into Government to be more credible negotiators for peace. But before that process was finished the naval mutinies in Kiel and Wilhelmshaven spread to the Northern German cities and turned into a revolution. The Kaiser fled and the task of halting the revolution fell to the same German Social Democratic Party which had betrayed the workers in 1914. Once again they did not disappoint their allies amongst the capitalists and the military. Once the Spartakist Revolt was defeated in January 1919 they dismantled the workers councils set up in November 1918. These class struggles were all part of a revolutionary wave which had its echoes everywhere. Even in Britain five and half million days were lost to strikes in 1917. When the workers, appalled at the capitalists’ continuing life of luxury whilst they starved, proposed to take over the distribution of food in 1918 the Government hastily introduced rationing to stave off a first step towards revolution. All this only underlines our point that wars are fought for capitalist (and in this epoch it means imperialist) interests. They have nothing to do with the mass of the population. They will be ended, not by the United Nations, nor by pacifist campaigns, but only by the international revolution of the working class everywhere. 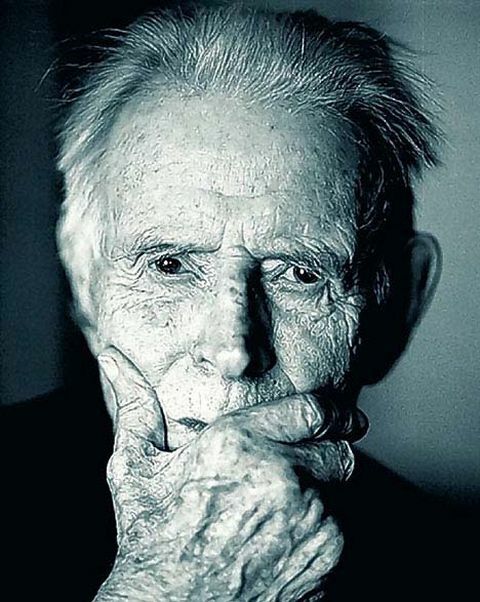 Harry Patch was no revolutionary but he clearly perceived that the First World War was fought for the interests of the few and for this we salute him. What he did not see is that in order to put an end to war we need to change society. This is why we have advocated class war as the only way to put an end to imperialist war. Some have rebuked us for using the word “war” but we are not advocating something which does not already exist. The lies of Prince Charles, General Dannatt and Gordon Brown are all part of the ideological face of this class war. And in a real sense we are the ones who will pay for every capitalist crisis of war and peace, just as we are doing now. We do not advocate violence as such but we cannot see the property owners who are prepared to plunge mankind into misery to defend their property rights giving it away without some sort of fight. How violent that fight is will depend on the preparation of the world working class. The more conscious, organised and united it is, the more power it will have to brush aside our masters. After all, as the German revolutionary song above says, we produce both the wealth and the means of repression which are used against us. The more we use our collective strength the more peaceful will be our eventual triumph. Only by ushering in a new society based on human need, a society without standing armies, national frontiers and class rule, can we abolish these futile wars for the interests of the few. And that would be a fitting monument to the men and women of Harry Patch’s generation. (1) The forces of the Austro-Hungarian Army marched into Serbia on 28 July 1914, exactly one month to the day since the heir apparent to the Imperial title, Franz Ferdinand had been assassinated by a Serbian nationalist group in Bosnia, with the aid of Serbian military intelligence. The subsequent ultimatum to Serbia was simply a delayed declaration of war. Within a week all the Great Powers piled into the conflict (with the exception of Italy which waited until it got the best offer from either side and thus did not enter the conflict until May 1915). (2) The Ypres Salient was the only bit of Belgium the German Army did not conquer in 1914. It was held simply for that reason. Militarily it made no sense to hold it. It was dominated by a ridge which ran through the village of Passchendaele from where the German artillery were able to pour down a murderous fire on the Allied troops below. This explains why there were three bloody battles as the Allies (British, French and Belgian Armies) fought to hold on to it and take the ridge. There were nearly 200,000 deaths on both sides in the battle where Harry lost his mates. (3) Owen took this from a Latin ode by the Roman poet Horace and means “How sweet and fitting it is to die for your country”. (4) One reason for Harry’s survival was that he was, like the grandfather of the author this article, a Lewis machine gunner and thus expected to do most of the killing. My own grandfather joined the Army in 1912 as a boy soldier (aged 15) and left it without a scratch in 1920. The greatest danger facing Lewis gunners was that they were targeted by the (not very accurate) artillery which explains the horrible end of Harry’s comrades on September 22nd, 1917. (5) Quoted in Meeting in No Man’s Land M. Brown (ed) Constable 2007. (6) Op cit. Macmillan 1980 p.19. (7) For a fuller account see The Monocled Mutineer by William Allison and John Fairley, Quartet 1978. (9) Quoted in Brown et al. op. cit p.203.